Getting you in to the Christmas spirit all year long! 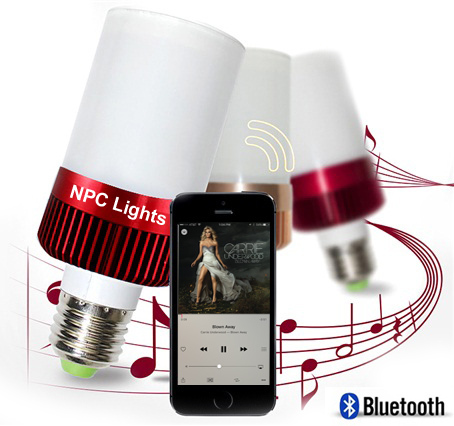 Multifunctional Bluetooth audio speaker/ LED Light bulb is suitable for the standard E27 light socket. Simply connect with E27/220V power and turn on, the LED light and Bluetooth speaker will be turned on. Turn on your phone or tablet Bluetooth. Connect to NPC Lights to power the audio part of the bulb. The light must be on for the audio to work. Can work up to 15 meters away from Bluetooth tablet or phone connection.